Self-care seems to be overlooked or forgotten about for parents, and frankly, this is oftentimes intentional. There are a lot of myths that revolve around self-care, which is why Growing Kids Learning Centers is here to clear the air. 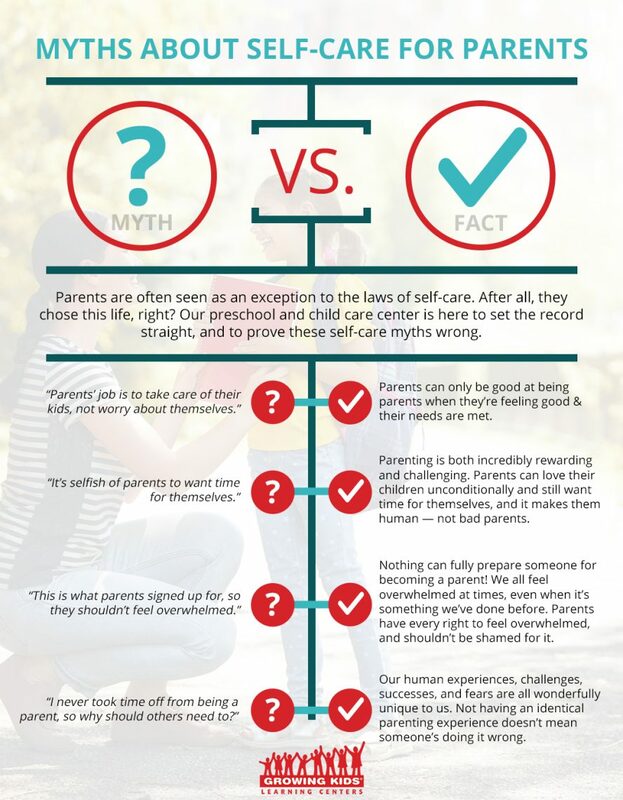 Find the truth about self-care myths for parents in today’s blog, and schedule a visit with any one of our preschool and child care centers in Goshen, Warsaw, Plymouth, Elkhart, Valparaiso, South Bend (at Ireland Road, State Road 23, and North Bendix Drive), Chesterton, or Bristol today! Fact: The two aren’t mutually exclusive! Plus, a parent can’t properly take care of their preschooler or 3rd grader if their basic needs aren’t met. And besides — parents can love their children unconditionally and still want time for themselves. To give yourself as a parent takes a tremendous toll, in spite of how rewarding it can be. An iPhone or a remote controller can only run for so long before needing a recharge. Needing to recharge our batteries doesn’t make us bad parents, it makes us human. Fact: Everyone should want time to themselves! It’s healthy, and it’s a way to stay connected to our individuality. Parenting just happens to be this strange situation where you simultaneously miss your kids like crazy, and also want a minute alone. As our preschool and daycare center has said before, it’s essential for parents to be at their best selves to be their best selves as parents. Sometimes recharging can only happen most authentically and most fully when parents are on their own. Fact: Nothing can ever fully prepare someone for becoming a parent. We can go into parenting knowing that we’ll be overwhelmed, but that doesn’t magically erase those future moments when we feel stressed out. Parents still deserve self-care, and they shouldn’t have to fully sacrifice every single fiber of their being or their interests at all times — that’s an unfair expectation that parents already face. 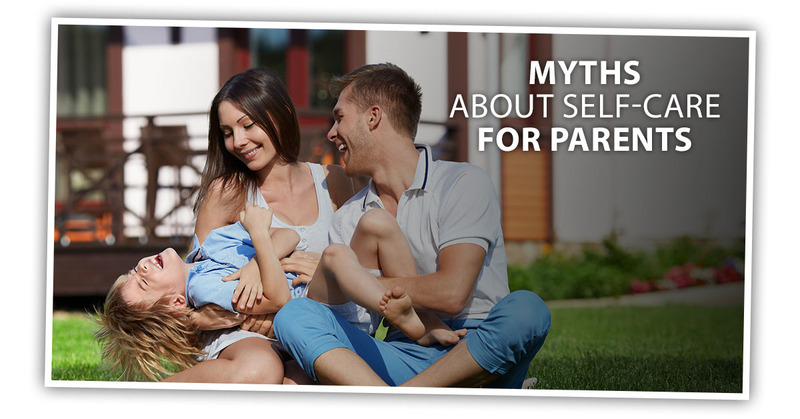 Fact: No parenting situation is identical, for starters. No human experience is identical, for that matter! Each parent brings their own unique strengths and areas of growth to the table. Our fears, challenges, triumphs, and dreams are all wonderfully unique to us. Comparison is not only unproductive and unreasonable, but also unfair. Every person deserves self-care — parents included. At Growing Kids Learning Centers, we know that we can help parents by providing the best child care and preschool programs in Northern Indiana. When you need assistance with coverage and want nothing less than exceptional care, we’ve got you covered. Read our reviews to see why people love the peace of mind that comes from child care with Growing Kids, and contact us to set up a tour today before space fills up. We look forward to hearing from you!